𝚋𝚎𝚕𝚕𝚊's tweet - "notre dame's cathedral is considered one of the most incredible examples of art and french gothic architecture. the history this place holds is unbelievable. my heart hurts "
Have they tried putting out the fires with prayers? Oh myy !!! Im so sad ! *building burns* oMg kEep tHem In OuR pRaYers. WTF YOU GOING TO PRAY FOR THE BRICKS???? Meanwhile across the world people die and no one bats an eye because they’re not white or an animal. Send me hate all you want. It’s the truth. What a tragic waste! This fire created way more significant damage than the desecration committed during the French Revolution. 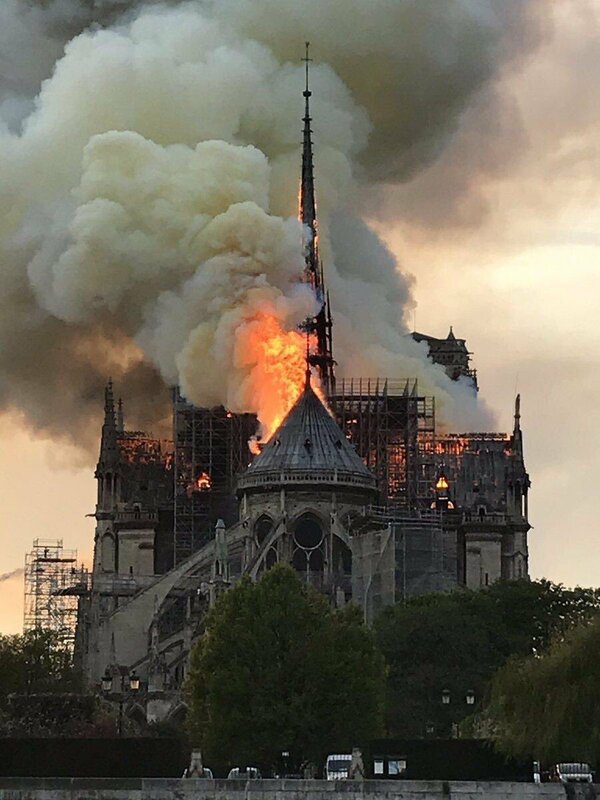 Lembrete que Notre dame é a segunda igreja este mês a ser consumida por chamas em Paris. Estranho, muito estranho.. vítimas de uma guerra santa? um dos meus sonhos se esvaindo em chamas. A veces creo que es que soy demasiado sentida, pero de verdad que ver cosas así me duelen muchísimo. Arquitecturas destruyéndose, bibliotecas ardiendo, etc son cosas que me duelen muchísimo y real que hasta me dan ganas de llorar. This image is such an apropos metaphor for the human soul. Some say kill the past and the ugly parts maybe, but we should learn from those. But art that honors what is above & beyond us? Those we hold on to and preserve. 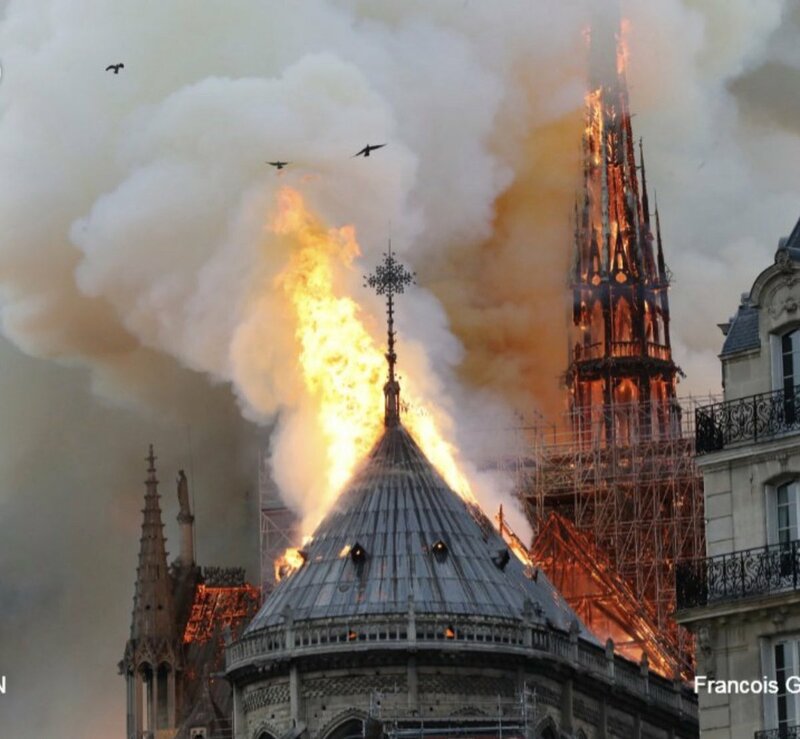 The art & momentos have reportedly been saved & the overall structure is safe, but still, it’s not a nice sight to see. I was gonna see this one this week but couldn’t. And now I’m never going to. This is a human race catastrophe. One of the great human wonder going up in flames. The history and significnace of this place is extraordinary. Wow this saddens me. I cannot believe that these images are real. This is karma for not returning back all the stolen masterpieces from africa. Idc what y’all say the world is about to end. 😭😭😭😭 why like my heart. My french heart. These pictures make me cry all the time. I feel depressed. I just learned how it got built. I hate that it’s burning and I hope it stops and the people are safe. if y’all look at the news reports of the aftermath, the only thing still lit & standing inside, with no burns or damages, is the cross. Am crying and not ashamed of that. This is a tragedy. Just killing me. I carve stone. Without power tools. It takes me weeks to make something very small. Imagine spending your entire life creating one piece for that cathedral. Imagine thousands of people doing the same thing. Now you have a small idea of how much we've lost.